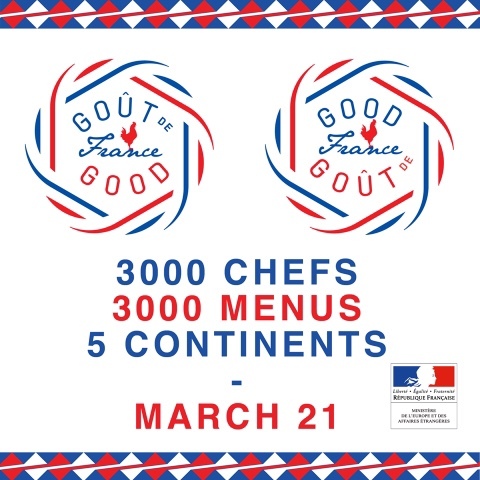 Today, 21st March, is #GoutdeFrance #GoodFrance or taste of France day; an annual event where chefs of the world are encouraged to celebrate French food, with the emphasis on fresh, seasonal and local produce. 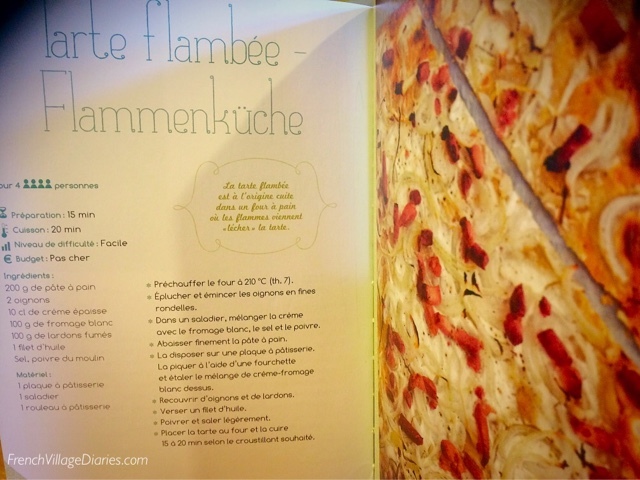 I love French food and I am loving the play on words here too! Goût de, translated, means taste of, but rather than #TasteofFrance we have Good France day – get a Frenchman to say, “goût de France” and “good France” and they will sound the same. This year it is our Region, Nouvelle Aquitaine, that is being given the honour of having its produce showcased and what produce there is to choose; from the wines of Bordeaux to Cognac, from the Gâteau Basque to the Tourteaux, from Atlantic oysters to Charentais melons and not forgetting goat cheese, we have something for all palates and all occasions. My only problem with this fête was that none of the 3000 restaurants taking part, from high-end (haute gastromomie) to modest (bistrot de qualitié), are anywhere near me. My only option to make the most of this grand évènement festif, was to cook French at home, or as they say on their website “Je cuisine français!” And why not, but what to cook? There is too much choice. My first stop was a tasty looking cookbook from the village library, Mes Premières Recettes Alsaciennes, yes, it is a first-cook-for-kids book, but that just ensured it would be simple enough for me to follow, but I still couldn’t make up my mind and anyway it’s an Alsace cookbook, not a Nouvelle Aquitaine one. 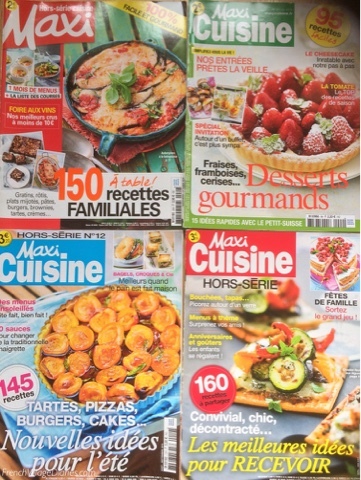 Next, I decided to look through the cookery magazines my French friend Claudine gave me. Each one more delicious than the next and again, so much to choose from, I just ended up making myself hungry. As part of my research I stumbled upon a real gem of a book in a local library that I can’t wait to read. 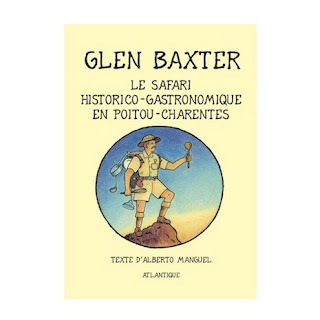 Artist and illustrator Glen Baxter takes us on his historical food safari of the Poitou-Charentes, in a bilingual English/French book that looks just my thing. In the end I chose something I consider to be very French. It is a cake, and yes, I mean cake, not gâteau. You see cake in French means a savoury loaf, most often served as the finger food nibbles that accompanies the very French tradition of the apéro, or pre-dinner drinks; a fun and sociable moment designed to whet the appetite for the main meal. Seeing as we live in an area where goat cheese (chèvre) is big, my savoury cake is made with courgette and chèvre and despite making it this week (with a shop bought courgette – quelle horreur) while the snow swirled outside the kitchen window, this recipe will really come into its own later in the year when the courgette comes fresh from my potager, and it is served outside on a sunny evening with a chilled glass of my favourite local apéro. It will then tick all the criteria of fresh, seasonal, local and most definitely French. Cut the courgettes into rings, without peeling, then sauté in the butter until soft and then drain on a piece of kitchen paper. Mix the beaten eggs with the flour, baking powder, salt and pepper and then a little at a time add the sunflower oil, and then the warm milk. Add the grated cheese, the courgettes and the goat cheese, broken into pieces, then add a pinch of nutmeg and the chopped parsley. Pour into a loaf tin lined with greaseproof paper and cook for about 45 mins at gas 6, then leave to cool before turning out. With 300g of cheese to 150g of flour, this is a cheese feast in a loaf that makes my mouth water before it is even out of the oven, and once it is risen and golden, and smelling of warm cheese, allowing it to cool before tucking in is torture. Bon appetit and I hope you get to enjoy some delicious French food today.